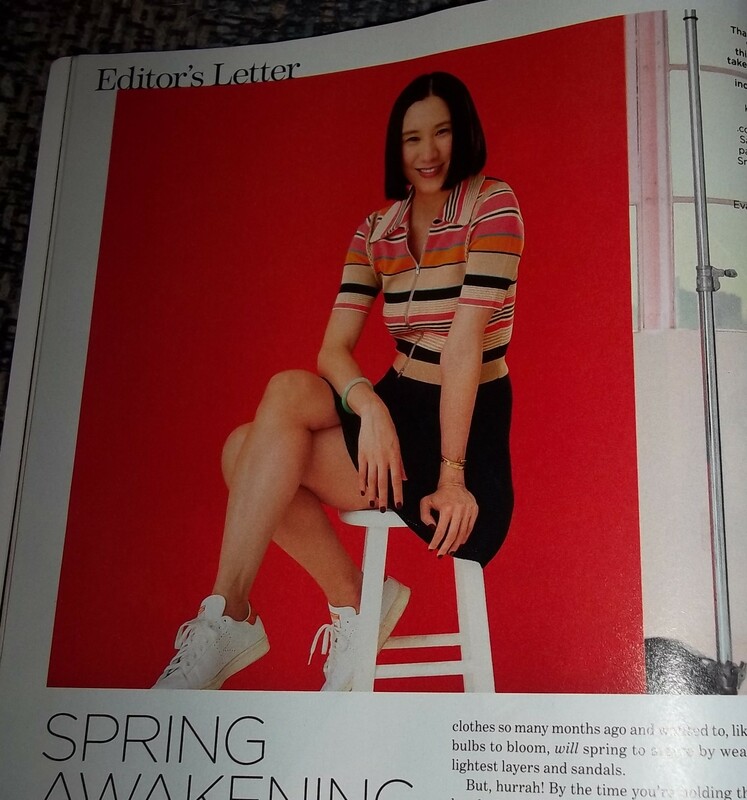 Fashion Magazines: Who are they kidding? As I sit here killing time, I’m looking through the latest issue of Lucky magazine and am blown away by just how out of touch they are. I love fashion, especially purses, but as I went through the pages, all I saw was overpriced and not totally functional. Now don’t get me wrong, I’ll pay a good price for a well made bag or clothes, but even with a business and a day job, I don’t have or should I say, I don’t want to spend what it takes to purchase these looks. Once upon a time, looks and brands were attainable, but I’m thinking that most fashion magazines have lost touch with reality. Think about it, $300 for a sweatshirt??? I don’t care what the cute little design you put on it, it’s still a sweatshirt! Not to mention, if one is seriously into fashion, you KNOW that you can recreate a look for much less than what’s being shown. For me, it’s a game, but for the average, impressionable young woman, she thinks she HAS to have these brands and that is often what creates huge debt for the modern gal. Believe me, when I was in my twenties I racked up a monumental debt, believing that I had to have a certain brand to have the look, but now I know that there is another way and that being an original counts for something, in and of itself. The adorable little summer set in the magazine photo, I’m sharing is beyond cute, but it’s also beyond attainable! The cost is just under $1000… I kid you not! For a top, skirt, and sneakers! For the same money, I likely have a year or more worth of clothes (very likely for me and my daughter). Attaining style, without going bankrupt is not just financially responsible, but when done well, environmentally responsible. skill with a sewing machine, the sky is the limit! For me, this has become a hobby that I adore! Creating my own style and look is what brings me joy. In the coming months, I’ll be sharing some of my quirky looks and ideas. Feel free to share your “on a dime” looks with me, as well. 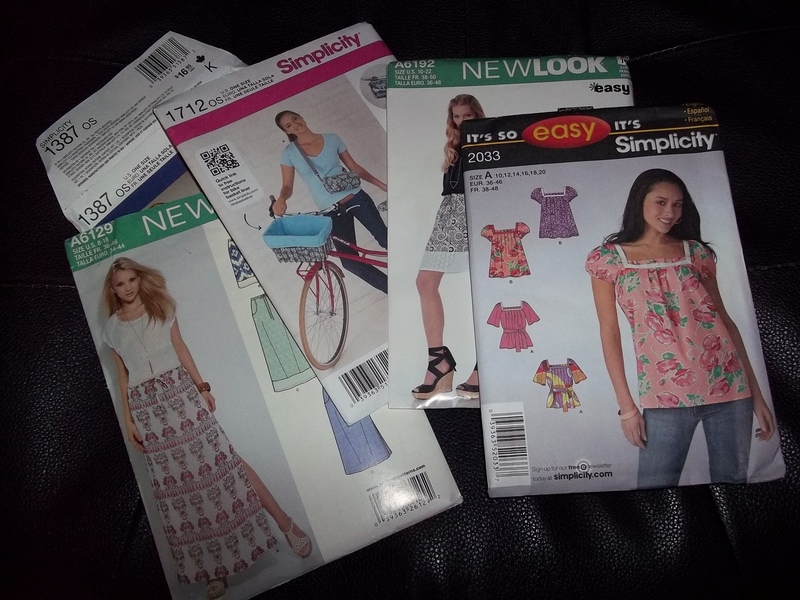 These are some of the patterns, I’m planning on making. Simple, yes, but a bit of the Bohemian look I adore. It’s all about the color! Have a wonderful week and spread some sunshine!